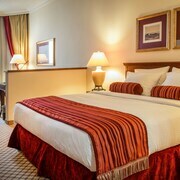 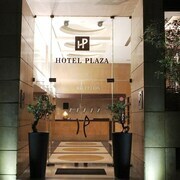 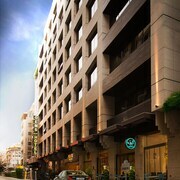 Located in Ras Beirut, this luxury hotel is within a 15-minute walk of Beirut Corniche and Hamra Street. 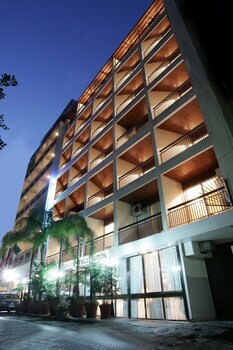 Zaitunay Bay is 1.5 mi (2.3 km) away. 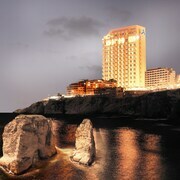 Travellers to Beirut give high marks for the shopping, lively bar scene and top-notch restaurants. 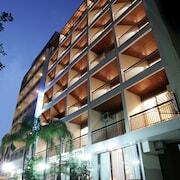 This city also attracts tourists with its cafes and museums. 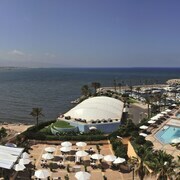 Top sights in the city include Beirut Municipal Stadium, Camille Chamoun Sports City Stadium and Pigeon Rocks.